Well, we've reviewed literally every single option available to us. The codex, ForgeWorld (FW Chapter Tactics notwithstanding), Fortifications, Lords of War, and even allies. The question that remains for us is this: how do all the pieces of this puzzle fit together? The first step to composing our list may surprise you. This article is massive though, and if you don't want or need the full break down on each and every Chapter, I'd highly recommend utilizing the handy CTRL+F shortcut for your browser, and finding your Chapter that way. 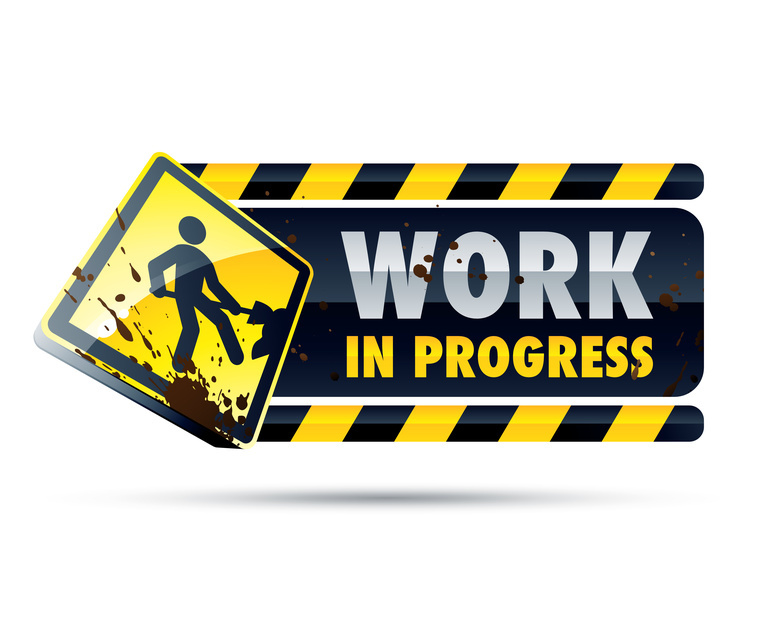 Contrary to popular belief, we will not be starting with Chapter Tactics. No no. We start with your first compulsory model: your warlord. 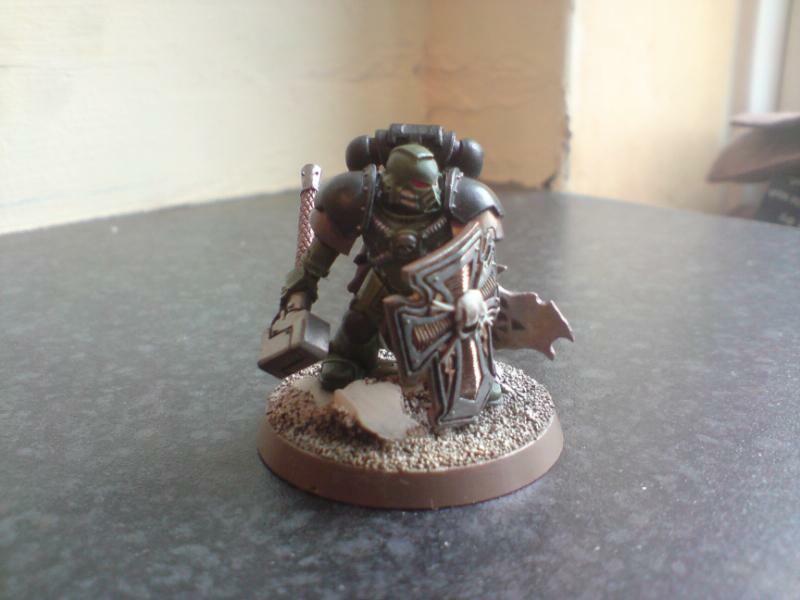 If we remember back, the Chapter Master was far and away the best HQ option available to us. That said, we will start this list with a Captain. Why the Captain? Without knowing if we're going to have the points to bring a Chaplain or Librarian which would unlock a Command Squad, let alone knowing if we'll have the points to pay the Chapter Master tax, the Captain is the safest bet. He's nearly as durable as the Chapter Master, saves us points by not bringing an orbital bombardment (a wasted extra if we don't ride a bike anyway), and unlocks the option to bring his own special weapons laden Command Squad. Our next question is this: How do we want want to fill our two compulsory troop slots? Unless we've put our Captain on a bike, I would highly suggest filling them with a pair of Tactical Squads. In fact, after recent playtests, I've come to find that unless you commit hard to bikes, and by conjunction play White Scars, you will struggle to cut through the trend of horde armies effectively. Remember, your army is a shooting army which is only competent in assault (forbidding that you brought Vanguard Veterans, Honor Guard, or Assault Terminators), and though Hit & Run is designed to help dig you out of those tar pits, you'll still fail the test a third of the time. Every time you fail your test to hit and run against an enemy unit (especially one which has large numbers), you'll lose out on a whopping 4 attacks per model. That's right. 2 twin linked shots from your boltgun, a hammer of wrath hit at S5, and your bonus attack for charging. That's huge and all those attacks are really the only way your bikes are going to be able to scythe through enemy hordes, especially if they're in cover (remember, Marines really have to play a game of save denial). In this regard, for mass bike armies, it's White Scars or bust. Before I return to that pair of tactical squads, it's important for me to touch on something I've regrettably be negligent of: the Crusade Squad. 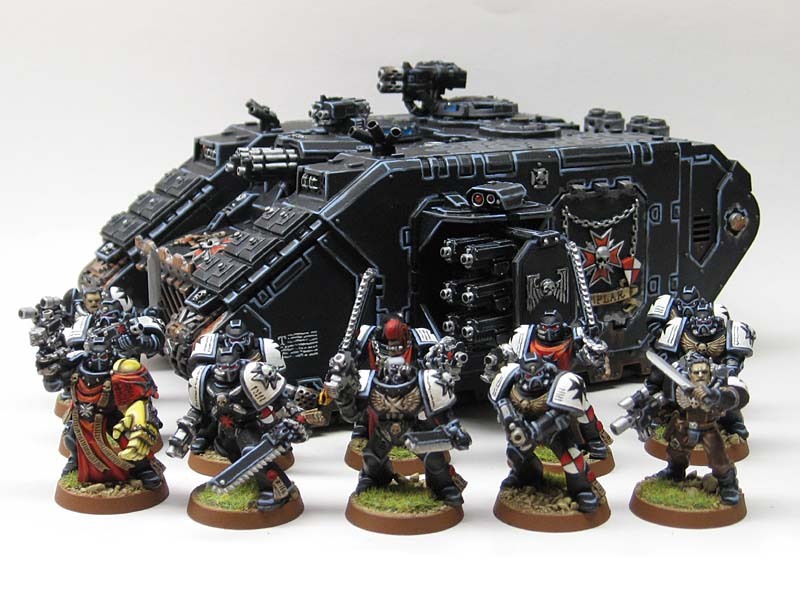 If you're playing Black Templar, though there's an argument that can be made for a Sniper Scout Squad or Tactical Squad with Lascannon and Plasma Gun for the purposes of holding down the home base, you have no excuse for not bringing two Crusader Squads. You give up Combat Squads, and gain the ability to replace your heavy weapon with a second "power anything" which will be on a dude who can't be challenged. Not only that, but you can take a LRC for a dedicated transport, never mind buying Neophytes to pad out your numbers. This makes the squad extremely flexible. 15 guys plus a chaplain in a LRC allows you to, depending on the matchup in question, sit back with extremely durable vehicles and troop choices, control points, and force the enemy to come to you to dislodge you, or be aggressive, take the fight to the opponent, and drive at his face before disembarking into some truly devastating assaults. Don't like the LRC? Buy a Rhino or the extra Neophytes and, again, run at the other guy's face where your tide of power armor will bog down and chew through most any opposition. It's a hard list to play, but it's effective, and is probably the only place I like the LRC. Circling back around to that pair of tactical squads, we need to figure out how they're going to get there. Are we coming screaming in from space in a Drop Pod? It makes the notion of bringing a flamer or combi-flamer much more tempting, and therefore makes Salamanders an attractive option. Perhaps driving along in a Rhino, toting a Meltagun, Plasma Gun, or Grav-Gun? This is probably the most flexible option. It doesn't mandate forsaking our heavy weapon, nor does it demand taking one. Likewise, it leaves us the choice to combat squad or not based on opponent or mission. Finally, there's the option of a Razorback. Though the weakest option in terms of flexibility, as it does very strongly encourage bringing a heavy weapon and Combat Squadding, it does add firepower for a not unreasonable bump in cost. Realistically speaking, this means that we still have our options open in terms of playing Imperial Fists, Iron Hands, Ultramarines, and Raven Guard. 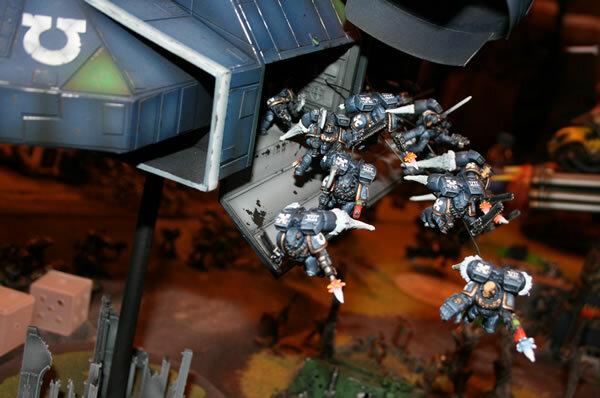 As stated, Salamanders want Drop Pods (or promethium pipelines) and assuming that you're looking to start an army, we shouldn't necessarily hem ourselves into that option. Rhinos are by far the most forgiving and flexible starting point for the army. As a rule of thumb, this squad will usually run about 200 points, give or take a meltabomb. Realistically, especially for rhino squads, I would almost always suggest taking a heavy weapon before taking a combi-weapon. Even when snap firing, you can expect at least one hit out of the heavy over six game turns, and as soon as your squad bunkers up, you'll notice that number surge. So, remember, heavy > combi. And here is one time where I'll side with Son of Horus. Take the heavy bolter. Especially if you're intending to go Imperial Fists. You'll grab a hit every other turn if you're snap firing, and for the meager points cost, it really does work with the rest of the squad in terms of wanting to usually not fire at vehicle targets. If you chose a Razorback, the Missile Launcher or Lascannon is easier to justify, as there will be fewer "wasted" bolter shots. Now, as many of you may well recall, I said that the hallmark of a marine unit is being able to handle anything. How should we do that then? Well, first and foremost, you're going to have to make a pretty compelling pitch as to why we shouldn't be taking a Plasma Gun. It does anything and lets us keep our distance. If we have Drop Pods and/or Vulkan, then we can talk melta, but otherwise, we want to keep our distance, and plasma does this better than any other option. It's better against most light and medium armor than the Grav-Gun, and has better range too. We've got two tactical squads, now where do we go? Well, now is where we see the road fork. The Scars, Templar, and Salamanders have all been touched on, and the first branches can be seen in troop organization above. Otherwise, we've still got a lot of options. 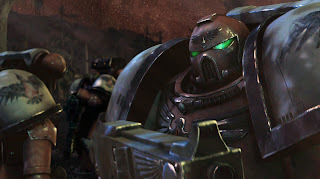 If we're looking to add in assault squads to use as tar pits, assault screens/bubble wrap, or clean up crews, Ultramarines and Raven Guard will warrant a look. In fact, in certain circumstances Raven Guard will prove more potent than the Ultras (now there's a scary admission). If you brought Razorbacks, your combat squads get a free scout move, mated with stealth to help dig themselves into position (compare to Devastate), while your Razors scout up to force some early pressure and screen for your assault marines. If you chose to go the Ultramarine route, you really will want to consult a Devastator Squad. In order to get the most out of your Tactics, it's not really negotiable. The turn to re-position if you've rebuffed the foe, or to flee if they encroach is not something to take lightly. On the subject of Devs (of either flavor), there's Imperial Fists. And between Devs and the buff to the bolter weapons on Tacticals, unless you really really like Assault Squads (see above), or any of the Ultra characters, the only real excuse you have for not running the Fists is if you're going to commit hard to Iron Hands. The big draw for the Hands is if you wanted to bring Predators and Riflemen, and even then, that's only really going to pay off for you if your enemy isn't able to kill the entirety of a hull each turn. Sure, the Fists won't help out your Sternguard, but nobody really does, and they don't really need the help. On that subject as well, you'll notice that our Tacticals and Devaststors don't accomplish one of the big things I said that Marines needed to maximize and capitalize on: Ignores Cover. This role will really either be accomplished by your assault squads, or by your elites choices: Sternguard and/or Legion of the Damned. These units are likely deep striking and are therefore likely to die. But that's okay. Make sure they accomplish their goal of throwing an enemy off a point, or destroying strategic enemy assets, and they'll have served their purpose nobly. There's something hinted at above but it warrants expanding. Our Chapter Tactics is the most crucial piece of synergy to consider with our list. Most of the "Great" options are going to be great regardless of whatever Tactic we might opt for. But our choice of Tactic will strongly effect the 30-50 power armored dudes that we'll be bringing. Yes, our tanks are important, but they're neither scoring nor denial units and though their firepower is an asset, they will not win us the game. This is why knowing your matchups and playstyle is so important and why your choice of Tactic can make or break the points you sink into over a third of your list. If you either don't care about your choice of Tactics (beyond Iron Hands) or simply wish to drown your foe in AV, do exactly that and find the best vehicular options in each slot. It will make for a harder list to win with as the more you saturate non-Rhino chassis, the more your opponent will find a better return on the investment of his firepower by hitting those soft targets. Including 20-30 infantry models other than your scoring choices is highly encouraged. Coming full circle, we find our Captain. What wargear ought he be wielding? With whom does he party? Well, we already discussed the bike option, and if you brought assault marines, he should probably consider a jump pack, if only to add some punch to the unit. The same truth could be said for any assault oriented unit, including Vanguard or Hammernators. Wherever he goes, if he is your warlord, you absolutely should buy TSE and a thunder hammer (power fist is acceptable), in addition he should wear artificer armor. For the cost, there's little, if any, reason not to. An auspex is encouraged but not required. In this configuration, he can tank wounds for your Devastators, or his Command Squad. He's highly effective in this role as well. And then there's the question of Warlord table. If he's actively trying to get into assault, personal or the native codex table are excellent choices, leaving strategic or command for a Captain who will be tanking for a Devastator squad. As far as our other HQ slot, you can bring a Librarian (it's like adding another Plasma Gun or Heavy Flamer to your Sternguard or Command Squad), a MotF (hard to justify, but if you need 2-3 techmarines running around, it's an option), or Chaplain (Hatred does a lot to help make those assault units work, and he's somewhat respectable in a challenge). None of these are entirely exciting, but if you've only got the points for them, you're probably not looking hard enough or adequately managing the rest of your slots effectively. Making a conscious choice for a second HQ is allowed, but it needs to be purposeful and deliberate. And there we have it. A simple cookbook for effective list building. As long as you remember to fold in your third and fourth troops choices when necessary, everything should fall into place nicely. Play to the mission, enjoy yourself, and honor the codex.